I was asking Raj about the Nepali calendar since today is the first day of the new year 2073. If you look on the calendar above, you will see a small red Nepali number; it is the number one. Those of you familiar with the Buddha eyes on stupas will recognize the number one (or infinity) as Buddha’s “nose.” It’s not really meant to be a nose but many people think of it that way. 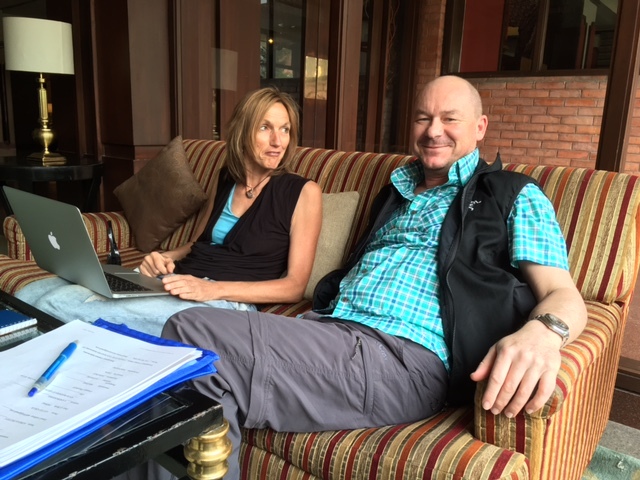 Today our expedition leader met with Billi Bierling who is working for the famous Elizabeth Hawley, keeper of the Himalayan Database. She asked Hugo lots of questions about the team and our climb. 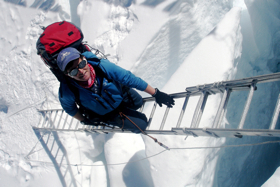 Billi is a great climber as well-she has submitted three 8000 meter peaks! 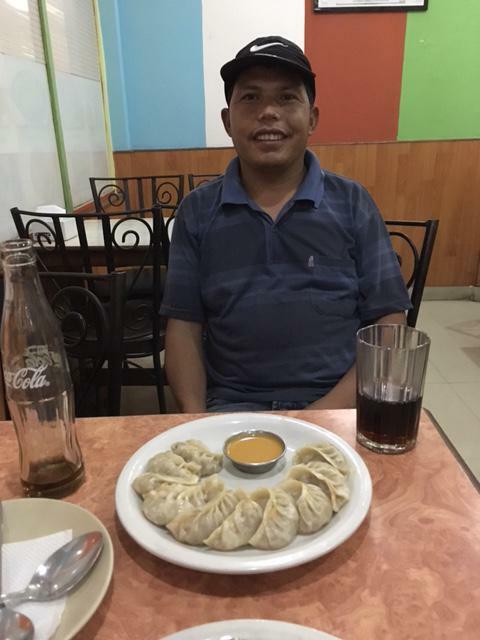 Kumar and I shared a meal of spinach and paneer (cheese) momos for lunch to celebrate the new year. The dipping sauce was a tiny bit spicy but very delicious. Kumar told me about what it was like in Kathmandu during the earthquake. It sounded very scary and he did not go inside and buildings for nearly a week. I showed Kumar how to find the Everest Hardware store so he could show it to the trekking team when they get here in a few weeks. I am friends with Sonam Sherpa, one of the owners but I didn’t get to say hello today since she and her family were out of the city celebrating the new year. 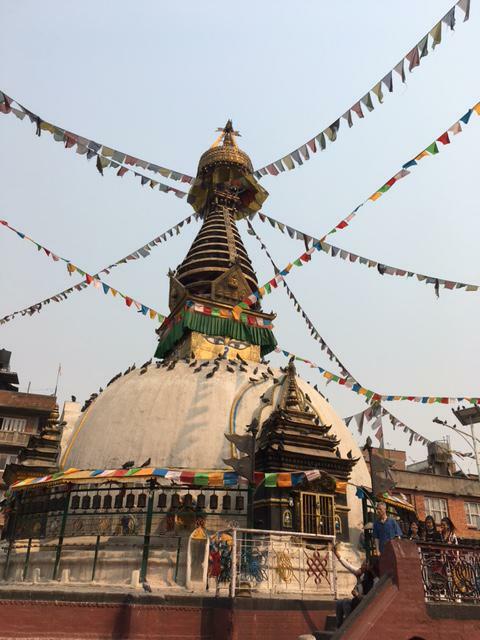 After that, I went to the Khathi Shembu Stupa and walked around it three times for the new year. You can see the many strands of prayer flags on the stupa as well as the Buddha eyes on the golden square level. After my circumambulation, I visited the monastery beside the stupa to listen to the afternoon chants. 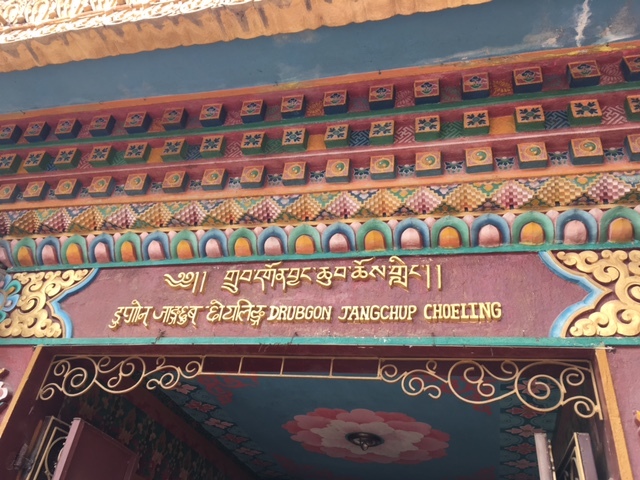 You can see the name of the monastery in Tibetan, Nepali, and English script. During the chanting, some monks would ring bells, bang drums, or play horns. It’s an incredible combination of sounds when all of the voices and instruments combine. 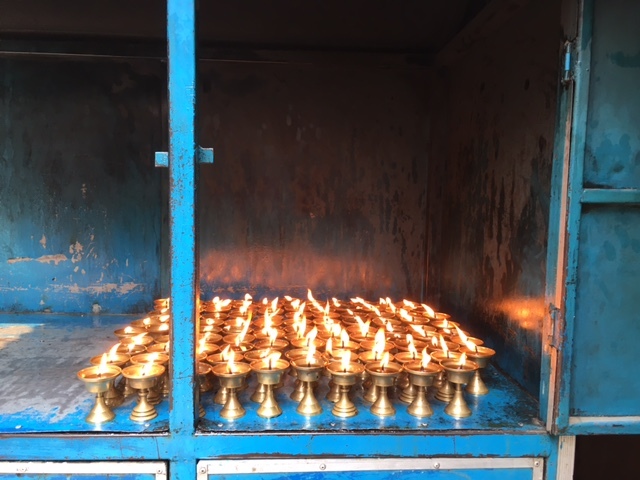 Since it was the new year, many people visited the monastery to light butter lamps and say prayers. I asked for safety on the mountain for all and for the strength of courage to persevere when the climb got very tough. I have many mottos or mantras for this climb and this morning, I told Hugo that one of them was “Same, same but different.” I’m trying to achieve the same ends of summit and safe return as my past two attempts…while at the same time, reminding myself to do things differently. Things like accepting help and support gracefully, using compassionate thoughts always, plucking the weeds of doubt as they sprout, going gently, and being present in each step…these are some of the ways I am beginning anew on this expedition and in this new year. Happy New Year 2073 to all! Noise and haste can be an apt description of roads in Lathmandu but also of North Erican life sometimes. Thanks for showing us the world you are in presently, TA! Sooo exciting! 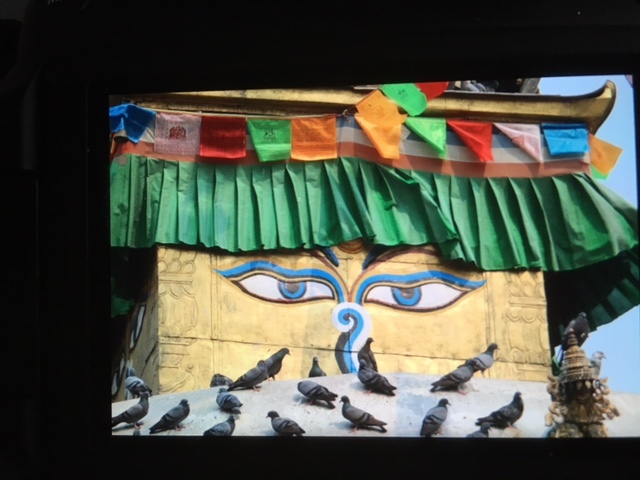 I have only been to Kathmandu once, but your pictures have put me where you are and it is such a great feeling. I have been following Billi for a few years and it is great to know that you two know each other! You are welcome. I enjoy sharing it.